Today, and more than ever, project intensive organizations understand the importance of setting a Project Management Office (PMO) that will be responsible for the creation and oversight of an overall management system which provides for the effective conduct of Project and Program Management activities. 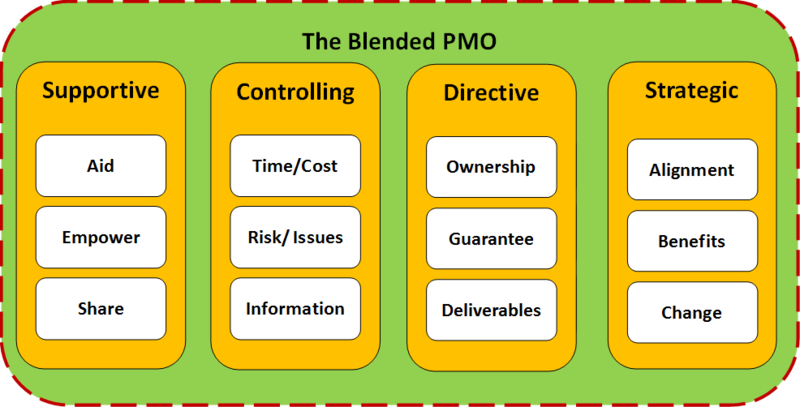 Of course, the functions of the PMO could vary from one organization to another depending of the type of the PMO they want to have which could be a Supportive, Controlling, Directive, Strategic or simply a Blended PMO that covers the functions of all those types of PMOs. A PMO that can be called an Enterprise PMO or EPMO. The Project Management Institute (PMI) Pulse of the Profession repot for 2016 (http://www.pmi.org/-/media/pmi/documents/public/pdf/learning/thought-leadership/pulse/pulse-of-the-profession-2016.pdf), found that organizations who have recognized the strategic role of an Enterprise-Wide Project Management Office (EPMO) and align it to strategy have reported 27% more projects completed successfully and 42% fewer projects with scope creep. The EPMO will enforce project management, governance, transparency and accountability best practices to ensure the successful delivery of the strategic initiatives and projects identified by the Strategy Management Office (SMO). The EPMO will also take responsibility for developing and retaining qualified project management team members as well as take ownership of the enterprise project management information system (PMIS). The digital transformation of the EPMO requires having an integrated platform that not only automate the different project, program and portfolio management processes but also address other areas including projects’ strategy alignment, EPMO maturity assessment, EPMO resources management and EPMO performance reporting. For each project, the PMIS should allow having a template to capture the details of what strategy goals a project will contribute to when it is completed. A project could contribute to more than a single strategy goal. In addition, the level of contribution to a specific strategic goad could vary from low to high contribution. All these attributes need to be captured in a formal process and for which it will be accessed in either a periodical format or at the Stage Gate Review for each project life cycle. The dashboard displayed below is an example of a Strategy Alignment Report produced using PMWeb where a form was created to automate the process of the strategy alignment. Whether an organization already have a PMO or plan to create a PMO, assessing the current status of how projects, programs and portfolios are managed by the organization is of great importance. This will help the organization to identify the gaps they have between what they have today and the desired status they wish to be at. 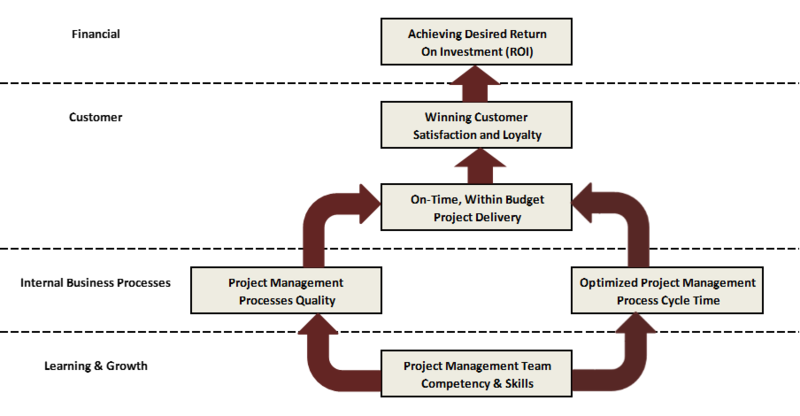 This analysis is crucial for the organization to set their development part to achieve the desired project management maturity level. PMWeb PMIS is used to create a Project Management Maturity Assessment form that will detail the different project, program and portfolio management processes that an organization needs to comply to achieve the level 5 project management maturity level or Optimized Process. The list of processes to be achieved could be based on the Project Management Institute (PMI) Project Management Body of Knowledge (PMBoK), ISO 10006, ISO 21500, Prince2 or combination of those best practices. 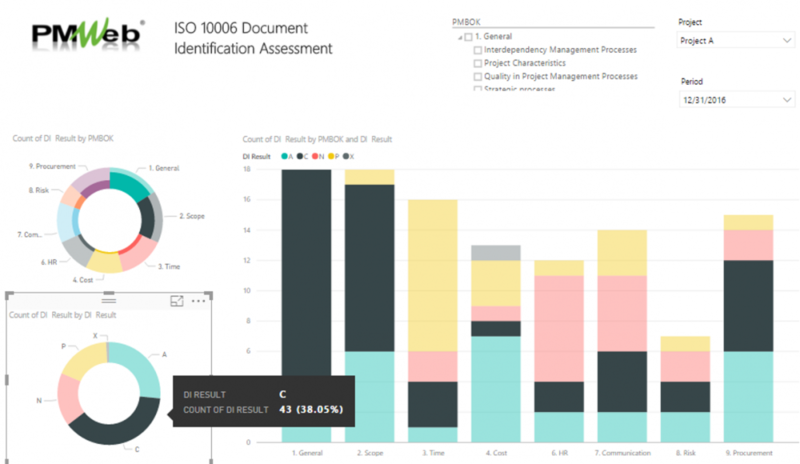 The organization can use a scale of 10 to grade their current compliance in implementing the project management processes. The assessment data will be used to analyze the current project management maturity and what improvements the organization needs to prioritize their implementation. The data will be used to keep track of the actual improvement trends achieved by the organization. Similar to any other management division that an organization has, the EPMO needs to have the right resources working for it. 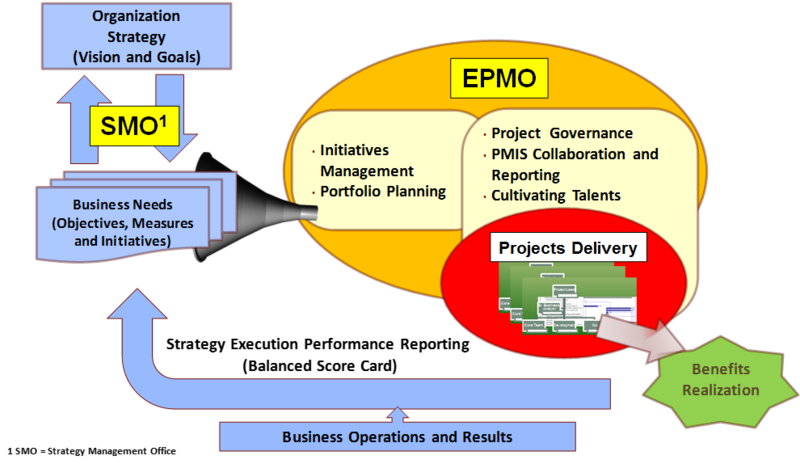 The EPMO needs to establish a clear job description for each EPMO team member that will cover the following items among others: key responsibilities aligned with the project life stages, key relationships between the role and each of the appropriate project stakeholders, skills and key competencies aligned with the relevant project management knowledge areas and the role performance criteria. 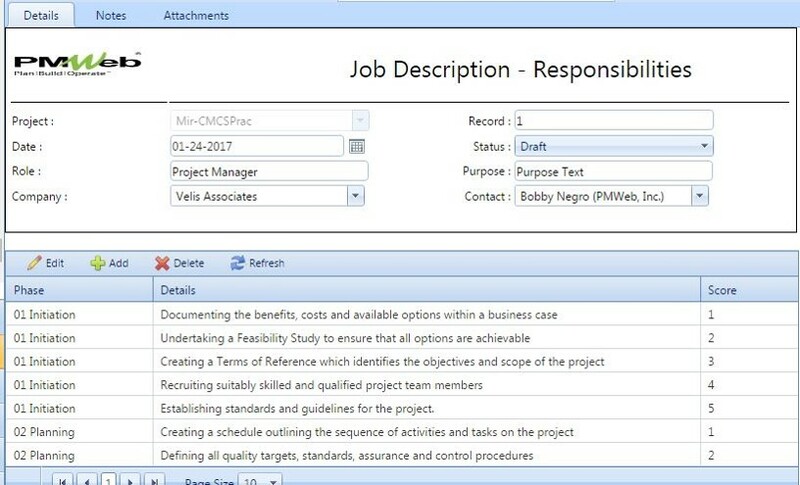 PMWeb PMIS is used to create forms for each role requirement to capture how each candidate meets the pre-defined job description requirements. For example, the form below details how the role candidate meets the key responsibilities aligned with the project life stages criteria. A score of 5 will be used where 1 means the candidate does not meet the specific requirement and 5 means the candidate fully meets the specific requirement. An EPMO is no different than other business units within an organization. An EPMO should have a mission, vision, goals and objectives to achieve. The balanced scorecard (BSC) provides an excellent approach for assessing the EPMO performance from a financial, customer, internal processes improvements and learning and growth perspectives. The financial perspective would use include different measures for the return on investment (ROI) associated with creating and operating the PMO whereas the customer perspective will have measures that relate to stakeholder satisfaction in delivering their projects on time, within budget while meeting the desired quality standards. The internal processes perspective addresses the measures associated with implementing the project management best practices as well as governance, transparency, accountability and traceability in capturing and reporting on the projects’ data. The learning and growth perspective addresses the measures of developing the skills of the EPMO and projects delivery team, staff retention and hiring of nationals to deliver the organization’s projects. 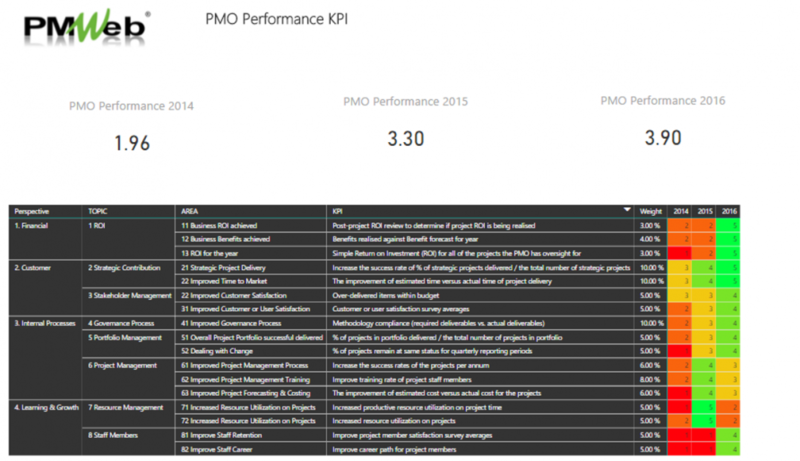 PMWeb PMIS will be used to create a form to capture the actual performance for each measure at the end of each period. This could be done on semi-annual or annual basis where a score of 5 will be used to identify the level of achievement for each measure. The weight factor assigned for each measure will enable the organization to have a consolidated performance score for each assessment period. This will identify the EPMO performance trends and analyze the performance gaps to rectify to ensure that EPMO is creating the benefit value that the organization has anticipated from the investment they made in creating and operating the EPMO. The next articles will address the digital transformation of the different project, program and portfolio management processes that an EPMO will be responsible for. Those will include project governance as well as the processes of demand, integration, scope, schedule, cost, quality, human resources, communication, risk, issue, change, procurement (contract), stakeholder, benefit realization, sustainability and safety. In addition, the articles will cover on how digital transformation can enforce real-time reporting of a single version of the truth of projects status, health and performance.